Today, I'm writing about the great actor Lon Chaney, one of the most talented and original minds to ever appear in old Hollywood films. This article is part of The 2017 Summer Under the Stars Blogathon hosted by Journeys in Classic Film. Aug. 3 is Chaney's SUTS day. "He was someone who acted out our psyches. He got into the shadows inside our bodies; he was able to nail down our secret fears and put them onscreen," writer Ray Bradbury on Lon Chaney. More than 80 years after his death, Lon Chaney is still one of the most singular stars ever to come out of the old Hollywood studio system. 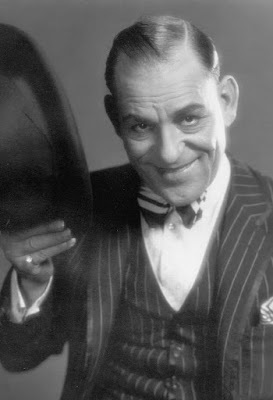 In real life, he was a rather ordinary and self-effacing man -- he often said, "between pictures there is no Lon Chaney" -- but, through the power of film and his own extraordinary talent, he was able to transform himself into a gallery of monsters, misfits, and con men, who, despite their sometimes grotesque appearances, were able to convey the deepest of human emotions. Chaney is still well-remembered today for playing the title role in The Phantom of the Opera (1925), but he deserves to be honored for an entire body of work that is still as rich and vivid today as it must have been to movie audiences in the 1920s. Chaney was born Leonidas Chaney on April 1, 1883, in Colorado Springs, Colo., to Frank and Emma Kennedy Chaney. Both Chaney's parents were deaf, so Chaney learned to communicate through sign language, pantomime, and facial expressions, a skill that would later serve him so well in silent cinema. Chaney and his brother John, broke into show business in 1901 by touring the U.S. with the play The Little Tycoon, which was written by Chaney. After The Little Tycoon's run ended, Chaney continued touring with vaudeville and theater companies where he met a pretty singer named Cleva Creighton, whom he married in 1905. The pair had a troubled marriage and eventually divorced in 1913, but the union did produce their son Creighton, who later had a successful movie career of his own as Lon Chaney, Jr. Chaney married his second wife, Hazel, in 1915, and they had a happy marriage until his death. Chaney moved to Southern California in 1910 where he worked steadily on stage until a scandal involving a suicide attempt by Cleva (she went to a Los Angeles theater where Chaney was working and swallowed poison) effectively ended his career in the legitimate theater. Chaney then turned to the nascent film industry where his startling ability to transform himself into almost any type of character quickly earned him a contract with Universal Pictures. Chaney played anything and everything at Universal from a Russian count to a "wild man," but he quickly grew tired of the studio grind and the low salary, and he left Universal in 1917 to pursue a freelance career. At first, Chaney struggled, but he became a huge star thanks to his extraordinary performance as a con man who is "healed" by a fake minister in The Miracle Man (1919). Only about three minutes of that film survive (clip below), but what's left shows Chaney's remarkable ability to manipulate his body. Chaney's next big hit was the crime drama The Penalty (1919, airing at 6 a.m. Aug. 3 on TCM) about an amputee gangster who is determined to revenge himself upon the doctor (Charles Clary), who cut off his legs. In an extremely painful procedure, Chaney strapped up his lower legs and walked on his knees during the filming, but the movie's real impact comes in his vicious portrayal of the gangster, who is even more ruthless than the amoral antiheroes in early talkie movies like The Public Enemy (1931), Little Caesar (1930), and Scarface: The Shame of the Nation (1932). It was during this time period that Chaney acquired the famous moniker, "The Man of a Thousand Faces," and his newly minted A-list status led to his greatest period of creativity on film. Chaney headlined Universal's lavish costume dramas The Hunchback of Notre Dame (1923, not showing on TCM) and The Phantom of the Opera (at 8 p.m. Aug. 3 on TCM) and he starred in the first film for the newly created MGM studio, He Who Gets Slapped (1924, at 6 p.m. Aug. 3 on TCM). On the surface, the roles of Quasimodo, The Phantom, and an abused clown couldn't be more different, but, in fact, they represent important elements of Chaney's screen style. The roles all require heavy, sometimes painful makeup, but, more importantly, they all present deeply human portraits of those who are outcasts. More than any other actor before or since, Chaney chose to play characters who were marginalized by society, and, through the power of his art, forces audiences to identify with those they otherwise may have shunned. During his time at MGM, Chaney collaborated many times with director Tod Browning, whose taste for the macabre and outre perfectly suited the actor's style. Their two best surviving films are The Unholy Three (1925, at 4:45 p.m. Aug. 3 on TCM) in which Chaney actually has some very funny moments as a master criminal impersonating a harmless old lady, and The Unknown (1927, at 2 p.m. Aug. 3 on TCM), a heaping helping of Grand Guignol that features Chaney as an armless circus freak who has an unrequited passion for a very young Joan Crawford. 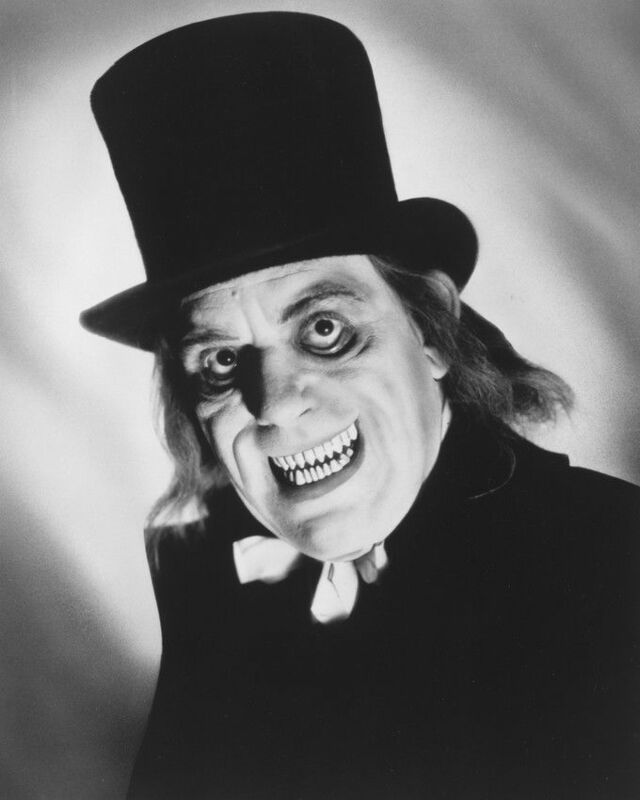 However, the duo's best known film is the now lost London After Midnight (1927), which features Chaney in a Dr. Jekyll/Mr. Hyde type role as a Scotland Yard detective who adopts bizarre disguises. Lon Chaney in London After Midnight (1927). During his later career, Chaney sometimes moved away from the horror roles that made his name to more character-driven parts such as the tough-as-nails drill instructor he plays in Tell It to the Marines (1926, at 11:15 p.m. Aug. 3 on TCM). In fact, Chaney was playing a character role in the railroad drama Thunder (1929; this is a lost film) when the harsh location shooting in Wisconsin caused the actor to catch a cold that turned into walking pneumonia (Chaney also was in the early stages of throat cancer). Chaney died on Aug. 26, 1930, six weeks after the release of his only sound film, a remake of The Unholy Three (1930; at 4:15 a.m., Aug. 3 on TCM). Go here for a complete schedule for Chaney's SUTS lineup. The video below is a documentary that has a lot of great clips of Chaney's movies and a look at some of his costumes and his famous makeup box. There are five, 15-minute videos; for some reason the first part is missing. I've watched so few of Chaney's films, and really need to see more of his work. I always find that background information on the actor inspires me to watch their films, so thanks for a great review of Lon Chaney! A Nice retrospective. Thanks for participating in the bloggathon.